Are you looking for a supplement to add to your traditional sunscreen? There are several herbs, if taken orally, which may reduce the negative effects of harmful UV rays. These herbs are Phlebodium aurem also known as Polypodium leucotomos (golden serpent fern) and Panax ginseng (Asian ginseng). There are also several foods that have antioxidant properties that can act as natural SPFs. Keep in mind that topical application provides better protection. The food items can increase your body’s SPF factor up to a 4 or 5. Darker skin tones have a natural built-in SPF factor of 7. Phlebodium aurem – an extract from the fronds of the plant is used to make the oral supplement. The extract appears to work as an antioxidant and protects DNA and the skin from damage. A supplement of 7.5 mg reduces redness, inflammation and skin damage (Yarnell & Abascal, 2012). You might find the supplement on the market under the name Heliocare. This supplement also contains beta carotene and green tea. Plebodium has been used in naturopathic medicine for three decades to treat psoriasis, vitiligo, and dermatitis (DermNet NZ, 2011). Panax ginseng is known for immunomodulating in herbal medicine and, to a lesser degree, shows signs of reducing photoaging and skin damage. Tomatoes have lycopene which protests the skin from the sun, so choose the reddest ones you can find when shopping. If you don’t have fresh tomatoes, cook with tomato paste! Apples have flavinoids called procyanidins which help reduce skin cancer as well as quercetin which protects cellular DNA. Green Tea (Camellia sinesis) has polyclonal which is an extract from green tea that helps to prevent cancer growth. Green tea, as used in studies as a cream (10% green tea cream) combined with 300 mg of green tea extract taken orally twice daily improved skin elasticity. When taken as a beverage with 1402 mg of green tea, decrease in sun damage was more significant (Yarnell & Abascal, 2012). 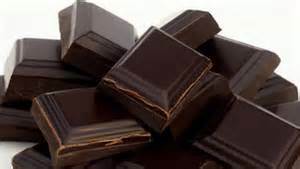 Dark Chocolate has flavinoids that protects the skin from harmful UV rays and sunburns. Make sure to get the darkest chocolate (at least 80% dark chocolate). Who said chocolate is bad for you? Other herbs and fruit that may have sun protecting properties when taken orally are Rosmarinus officinalis (rosemary) and Punica granatu (pomegranate in rind, seed and fruit). Don’t forget to use a good SPF daily and reapply as necessary. Chocolate anyone!